The FrameNet project is an attempt to identify and describe English semantic frames. 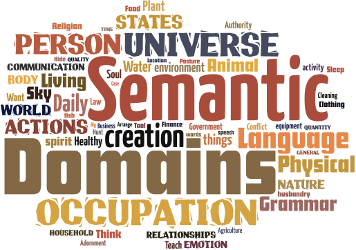 Although semantic frames do not exactly correspond to semantic domains, there is a close correspondence. The list is far from complete but provides a very useful perspective on the semantics of lexical sets. It has around 370 frames.